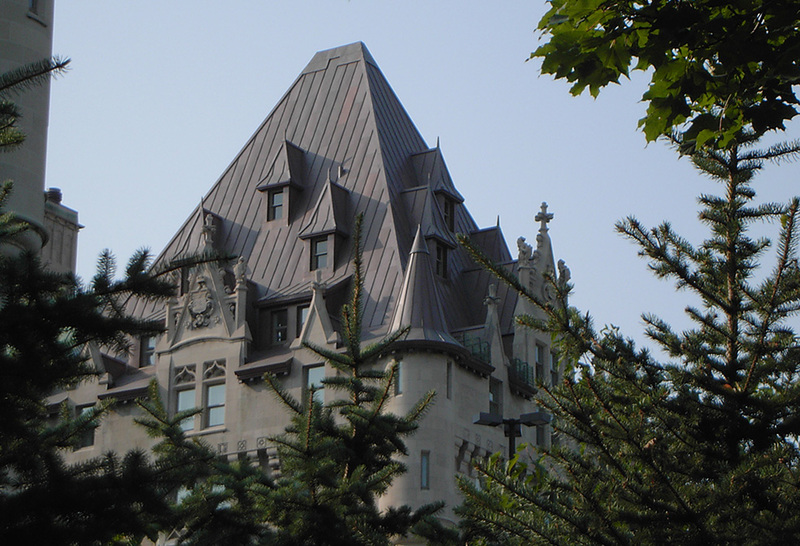 The beautiful Chateau Laurier is a piece of Canadian history, located in downtown Ottawa adjacent to the Parliament Buildings on the Rideau Canal, its style is French Gothic Châteauesque. 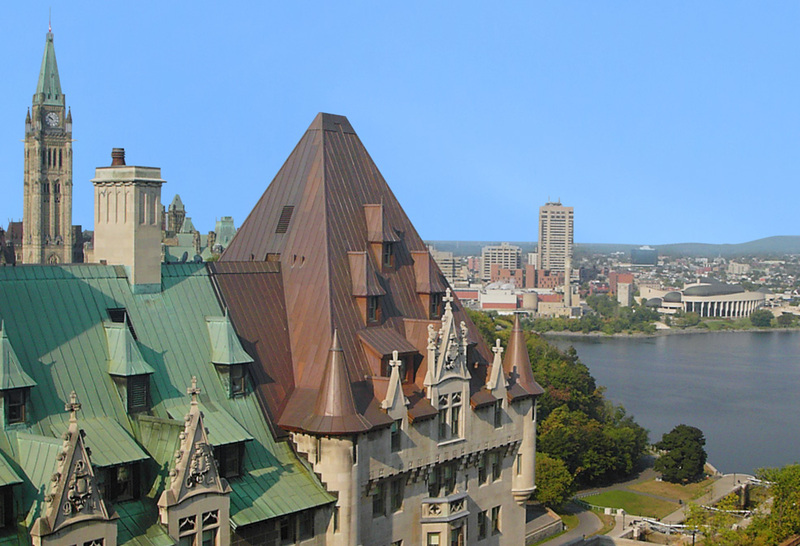 Opened in 1912 with an official unveiling by Prime Minister Wilfred Laurier himself, no expense was spared when building this beautiful landmark. With granite blocks, white Italian marble, travertine staircases, and new copper roofing, the Chateau opened to widespread excitement. When Fairmont, the new owners of the hotel, decided it was time for a complete exterior restoration and restoration of the decorative copper work back to its original appearance, Heather & Little was proud to take on this task. 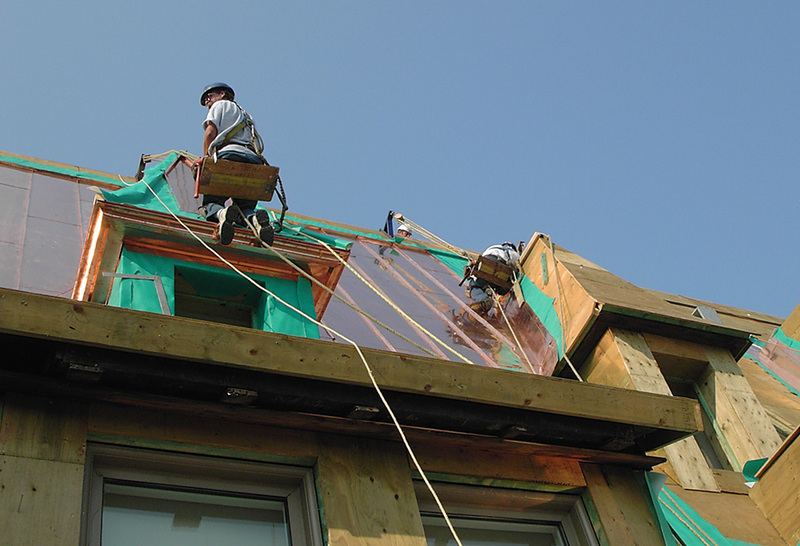 When Heather & Little began this the existing roof required extensive repair work. We partnered with Lari Masonry Contractors to ensure the project went smoothly. 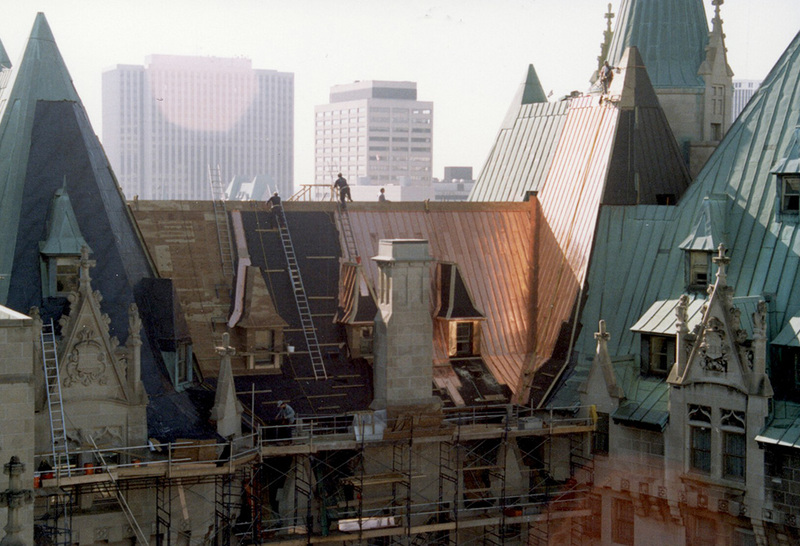 All of the original decorative copper was removed on the building before any restorative work could take place. New copper dormers, cornice. finials, copper cresting were reproduced, to ensure a perfect aesthetic design. 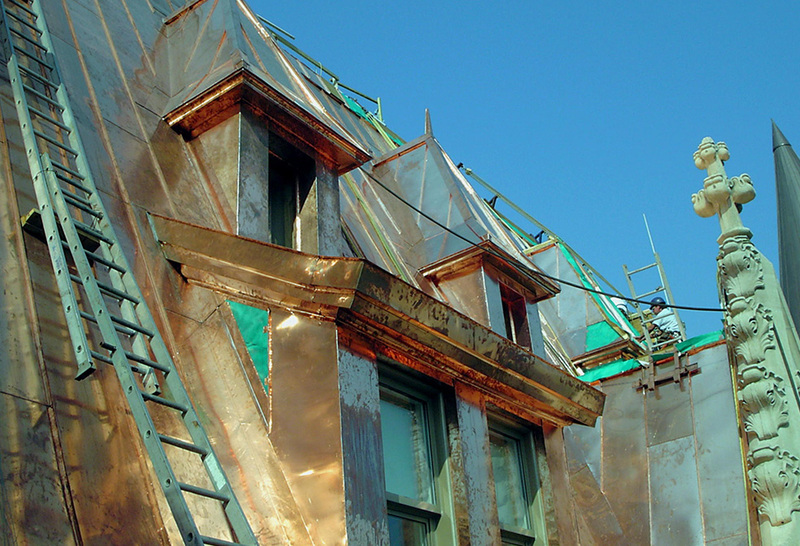 For these copper elements we used 20-ounce and 16-ounce copper sheets, as they were determined to be the best fit for the needs of this historic property. 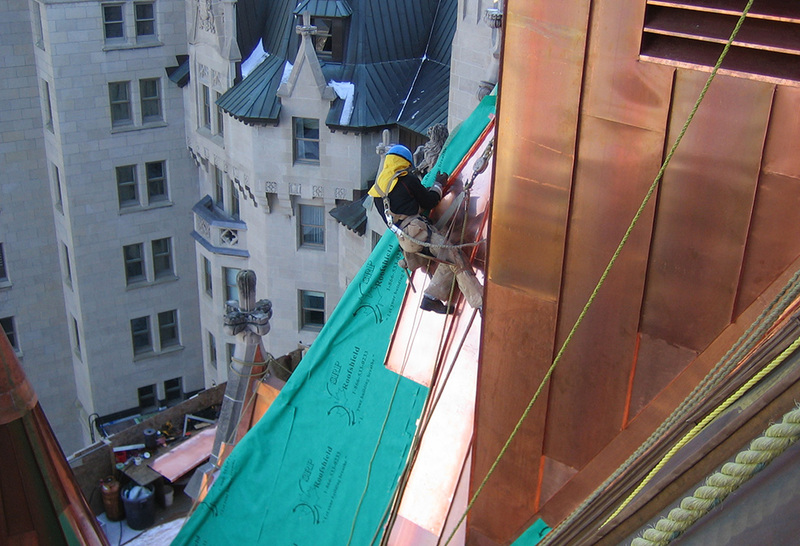 To learn more about this building restoration and ornamental copper project, take a look at the images below.